The US jobs report disappointed with an increase of only 155K. Wages are up 0.2% MoM, weaker than expected. Year over year, they are up 3.1%. The unemployment rate is stable at 3.7% as expected. Participation stands at 62.9%. The average workweek is down to 34.4. The "real unemployment rate", U-6, is up to 7.6% but remains at encouraging levels. Net revisions for October and September stand at -12K, a minor change all in all. The US Dollar is down across the board. 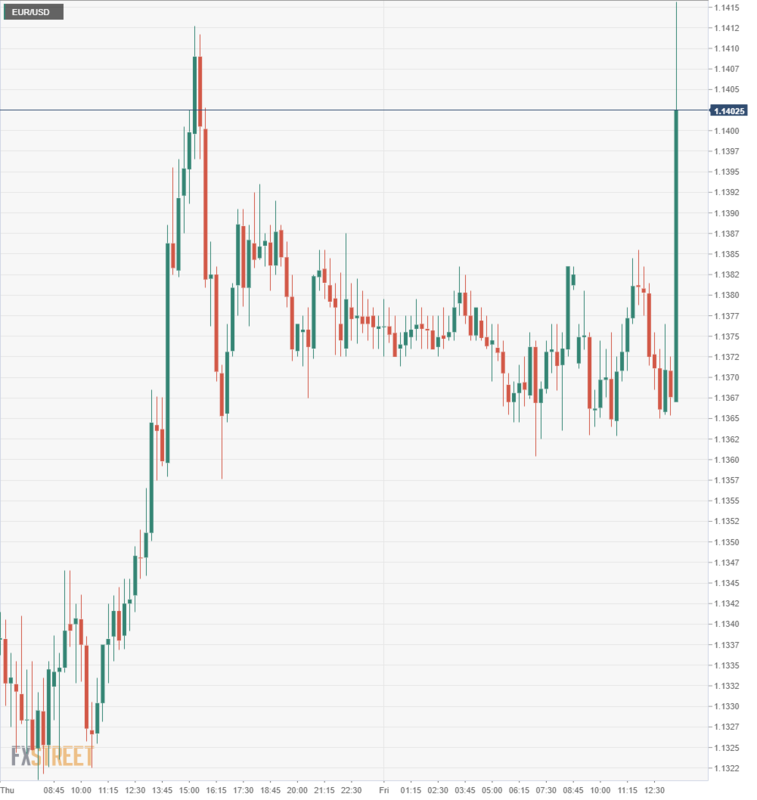 EUR/USD is climbing above 1.1400. GBP/USD is trading around 1.2800 and USD/JPY fell to 112.60. Commodity currencies are rising as well. The Canadian Dollar is doing exceptionally well thanks to a leap of 94.1K in Canadian jobs and a drop in the unemployment rate to 5.6%. The downfall in the US Dollar is petering out as time goes by, but the greenback remains below pre-release levels. The US was expected to report an increase of 200,000 positions in November after a robust rise of 250,000 in October (before revisions). Average Hourly Earnings carried expectations for rising by 0.3% MoM after 0.2% beforehand. Year over Year, wages were forecast to increase by 3.1%. The Unemployment Rate was projected to remain at a low level of 3.7%. Fed Chair Jerome Powell spoke on Thursday and expressed satisfaction with the economy and the labor market in particular. He said that it is doing well be "many measures." This NFP is the last jobs report before the Federal Reserve convenes to makes its final rate decision for the year.